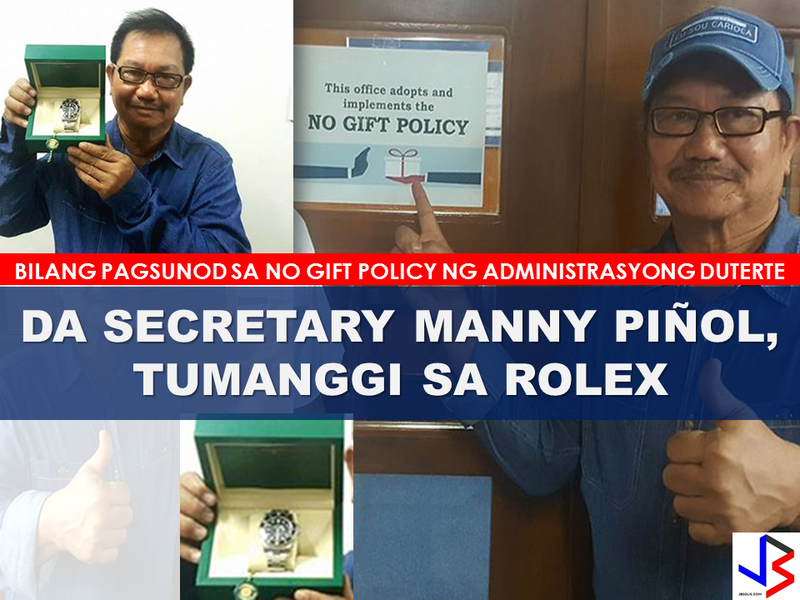 A Rolex watch worth P450,000 for a gift is not bad at all. To return it to the giver maybe somewhat regretful but not for DA Secretary Manny Piñol . 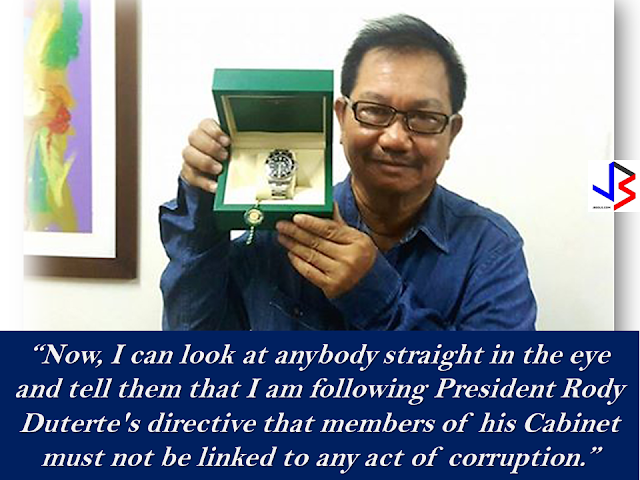 As a government official, public trust is more important to him than an expensive watch. In a social media post , Sec. Piñol narrates about the "small box" that has been given to him at a dinner he attended, hosted by top officials of a very large agricultural company. "I really did not give it much importance because the giving of mementos is part of the tradition among officials at our level, especially when we have engagements with diplomats," he said. "It was not until I was in my farm in Kidapawan City, when I decided to open the box and I almost fell off my seat when I saw what was inside the box. It was a Rolex submariner, a watch which almost every man dreams of owning, " he added. Instead of accepting the gift, he decided to return it with all respect to the giver. "I explained that I could not take the gift because not only because the company is involved in activities which would require the supervision of the Department which I head but also because the law prohibits officials like me from accepting expensive gifts. I added that I could go to jail if I was found to have kept the watch or accepted expensive gifts from people with interests in the Dept. of Agriculture," he narrated. "When I turned over the box to the giver, whose identity I will not divulge anymore, I felt as if a huge burden was taken off my back, " he said.